On a site that occasionally refers to elevators, I have recently been reading the kinda daft stuff from comments about elevators that makes clear the writers have never worn them, and just have a bit of a downer on height addition. In particular recently I have seen the occasional comment about it being “impossible” to wear elevators higher than a couple of inches, and the usual “everyone can tell”. Clearly mixing up lifts with elevators and not understanding the subject at all. With appearance issues generally, you tend to read a lot of stuff online from people who have a bit of an obsession with things, all sorts of stuff. You may wonder why people even bother, but if you ask any well known person, they will tell you of the appalling things unhinged people say under the guise of some strange fake name and the obsessive lengths people go to and time they spend on their obsession. So on elevators, let’s say you get some person who, say, wants to be taller but will not add height and so gets jealous of those who do – the only way they can counter your pleasure in adding inches is by pouring cold water over what you do by posting rubbish. “Everyone can tell, you will die within six months from leg rot (FACT) and you’ll suffer forever from altitude sickness after wearing them three times because you are unused to being much taller (FACT, PROVEN). Outside of these strange and odd ramblings, you will also find people using cod science to back up some bias or cod theory. The latest of these I have spotted is the bizarre one that “you can’t wear elevators over 2.5 inches”. No research, no personal experience given. Just a finger in the air and a kinda impression. And the usual extreme language of the obsessive. But it made me think about this important business of adding height in a bit more dispassionate way than I have done before. There are limits and lifestyle issues that can lead to issues: I have mentioned some technical aspects before in pieces like How High can you Go, and stuff based upon your actual height, but this idea of there being some limit needs to be explored and exploded. Firstly, I for 17 years since my late teens have added height. I am fully aware of almost all (I think) of the pluses and minuses, as well as the optimums on height (a matter of opinion) and the sheer fact of how much you can add at various levels of comfort and walkability/daily use. And I now all the time wear 4″ elevators and occasionally my pair of 5″ ones. And yes there are limitations, and I will come to those but they are endured within the zone of compromise which we all set up – trade offs we all make about every aspect of life. The first reality is that there is a world of difference between specially made elevators and sticking lifts in boots and shoes not made for them. And I think that those posting about 2.5″ limits are really referring to the lifts you buy for a few dollars and just shove in boots. There is a very basic science to all of this and it relates to the construction of the footwear along with the finer detail of measurements within the boot that can lead to pressure and stress when using stuff in a boot. With added lifts, it can literally be down to 2.5cm great and 3 cm painful. And you have to find that point on each different pair of boots or shoes you wear. And it ain’t easy. I did it for years. Otherwise you will be telling everyone that “lifts don’t work”. Standalone lifts DO work, but only to a point. And above that 2.5 inches it is VERY difficult with lifts popped into anything other than really big army or doc style boots. Don’t do it with standalone lifts except to gain an inch or so. Elevators now – all elevators are made by specifically planning to allow that extra height by constructing the footwear so those measurements within the boot for your comfort and moveability are allowed for – so if you buy a pair of 3″ elevators, the insides and space are tailored accordingly – they are therefore very different to usual footwear even if superficially they look similar. Now the comments about not being able to walk etc above 2.5″. Well let’s leave my own experience aside for a moment but I assure you all I have not stopped walking in my mid 30s and am not lying down 24/7 unable to move around, laid low by my 4″ GuidoMaggi Ischias that I wear all the time! But there ARE considerations outside of the extreme world of online ‘fact’…I spent years wearing lifts alone and in the end got up to the max poss in big oversized boots and the styles of pants which, at the time, were in my favour to add more. It took me a long time. So I was able to graduate to 4″ elevators easily, effortlessly and indeed found both pairs I bought to be the most comfortable things I had worn in years. The idea that it is ‘not possible’ to wear these is simply false and misleading. The same with the ‘everyone can tell’ arguments. No-one knows I add height and in my business working in clubs, if they did know, it would be merciless and out there in seconds. There is no polite discretion in my area of work. And the truth is more interesting, nuanced and helpful. I know indeed that the guys at GuidoMaggi are way more likely to promote the more cautious height additions, for all sorts of reasons. Comfort is a key reason and starting off with 5″ elevators is just a total no no. You DO have to learn how to adapt to adding height, even at a lower level, and 4 or 5″ elevators are not the answer until you are ready. And you are more restricted in terms of the type of pants you wear. 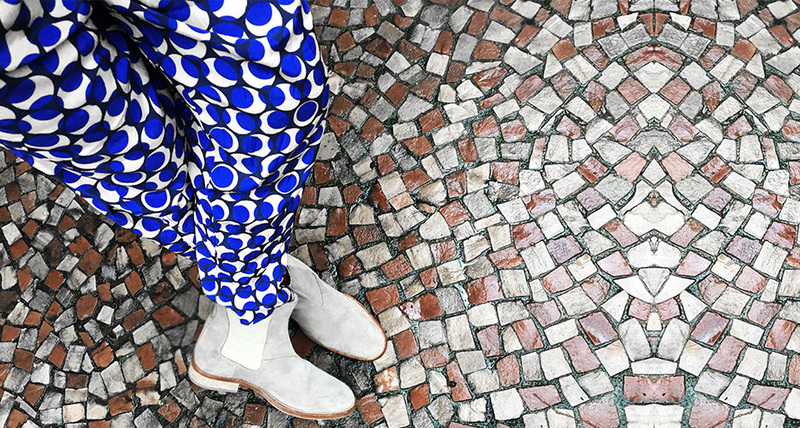 You can get away with 4″ boots in a suit, but not the 5″ ones (imho) unless you are making a statement at certain times when the fashion is for suits and big boots. But at a lower level (say up to 3″) you are much much less restricted in the type of pants you wear. I myself, for example, would not wear very skinny jeans with my 5″ boots but I have learned and developed the technique of wearing them with my 4″ boots. But it took me time and had I not finessed it I would not have done it – I would therefore have traded onto slightly looser ones. When you are adding height you are developing a new skill based upon a science. If you just expect to chuck on a pair of boots and run around half a foot taller then you are mistaken. The great fun is taking this a step at a time, even if you are in a hurry. Add your first couple of inches, if you have the cash buy another pair at the same time an inch or so higher that are similar, and experiment. Yes if you wear 4″ elevators, pretty quickly you may indeed find it feels (and looks) awkward. But once you are used to walking in the lower ones, it suddenly falls into place. I shall never forget when I got my first 4″ elevators – they were very comfortable. But at first it felt odd to walk more than a certain distance (I have always been someone who walks a lot). It took me two weeks. By the end of that two weeks I was genuinely wondering “will this ever feel ‘normal”…and then one day I realised something “OMG it feels like normal now”. I cannot place when it actually happened, it just did. I was back to being able to walk the same distances etc as I did before without being aware of the difference. And this is the real point – and it is why I tell guys to go out and do lots of ‘test walks’ when they first buy. Short distances and then long. You are getting used to your new height and the science of the boots you have bought. And once you ARE used to it, I tell you it feels odd NOT to be wearing them. In a way it was my girlfriend who gave me the clue to this – she works in the club business like myself and wears these crazy 8″ stiletto and platform combos, the kinda poledancer boots, and some she has are even higher, just for being stood or sat. I often queried her on how she could walk and it was her who made me realise. “God these new ones are really tricky,” she would say. But after a week or so of nights they would then be fine and I would hear no more complaints. Familiarity breeds comfort in all footwear – it might not feel it right at first but once they are bedded in, and you have your extra 4 inches. Well you feel great. It says something that I myself am now at the level where I want to see if I can try out a pair of 6″ elevators when they are developed; it’s never been done before but it could, I am sure, and I am prepared to bet that it will be the same story – there will be compromises, it will feel new and different…but that you will get used to them in the same way.